Oregon Fish and Wildlife has a new system called myodfw.com, which is accessible from computers, smart phones, & tablets. 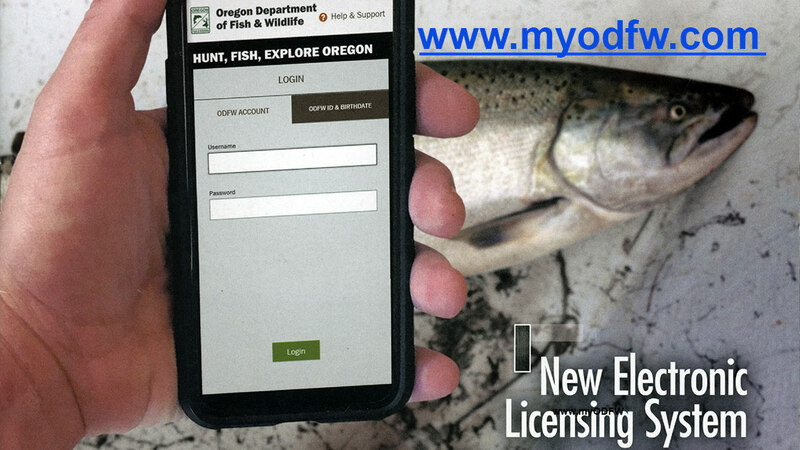 This new system is setup to dispense information, licenses, tags, permits, and to tag fish. We will, however retain our license vending system, and stay abreast of developments on myodfw.com and be available to help you navigate the new system, or be able to sell licenses & tags directly to you. Can anyone really predict the future? This author reports no known talent based on clairvoyance or any mystical ability to reach ahead in time. But, we do have solid connections with managers and scientists who study conditions that influence the survival of certain sport fish populations. 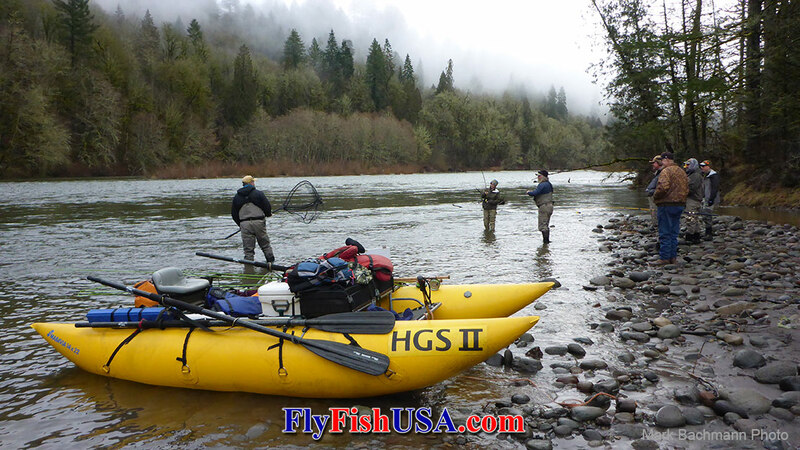 The Sandy River is regarded as the best success story for returning both wild and hatchery steelhead in the lower Columbia River Basin. This may be because there have been much continual improvement in environmental conditions within the Sandy River basin during the last forty years. Even though all steelhead runs are in a low return cycle along the entire west coast of North America, there are signs that Ocean rearing conditions are beginning to improve. It seems that the richness of inshore coastal water has a huge impact on steelhead survival. If the Ocean is rich in small food items that steelhead smolts eat at the beginning of their marine cycle, it really impacts the numbers of steelhead that return home to their river during the end of this life cycle. My main contact at ODFW claims that the near shore water food chain is improving slightly. 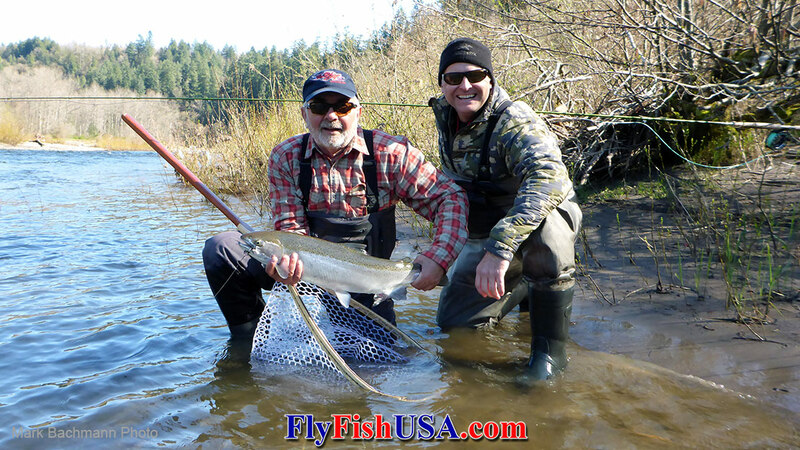 Early winter steelhead returns occurring now in both the Sandy and Clackamas Rivers are causes for optimism. Returning steelhead numbers should be slightly better than last year. There was a marked improvement in the water clarity of the lower 100-miles of the Deschutes River last summer, and hatches responded favorably. Caddis hatches were most improved and for a while dry fly fishing for trout was kind of like the good old days. So what caused this striking improvement in water quality that increased the hatches? It seems that lower than normal snow pack in the Ochoco Mountains decreased water flows in Crooked River. The winter of 2018-19 is also supposed to be lower than normal snow pack. To get the full story on this Deschutes River dilemma, visit the Deschutes River Alliance web site. 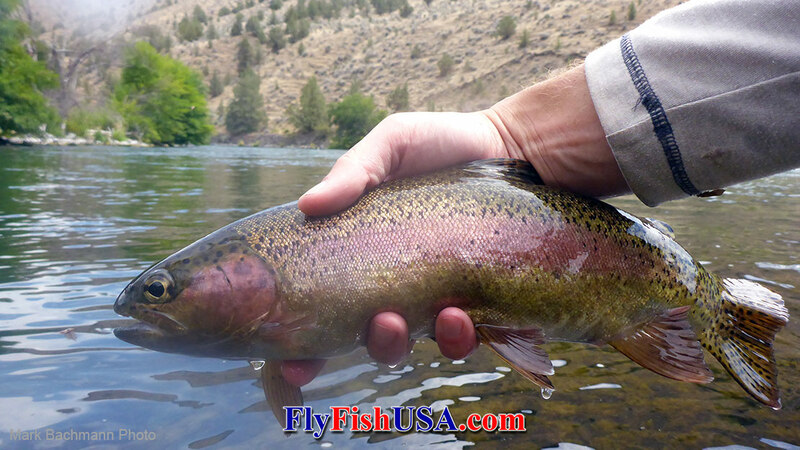 Even with its trials and tribulations, the lower 100-miles of the Deschutes River offers some of the best trout fishing to be had anywhere in North America. Most of it is open during winter, and it can be fantastic fishing with both nymphs and dry flies. Some of the best fishing can occur in the middle of the day, and during periods of rain and cloud-cover. Fishing near the bottom with nymphs can be productive any time of day, and during higher water events, which cause catastrophic drifts of invertebrates that can make nymph fishing even more productive. Call: 800-266-3179 for more information, or stop by. Once again Mark Bachmann and Hawkeye Hawkins have teamed up to bring you a series of premier Winter Steelhead Spey Schools. 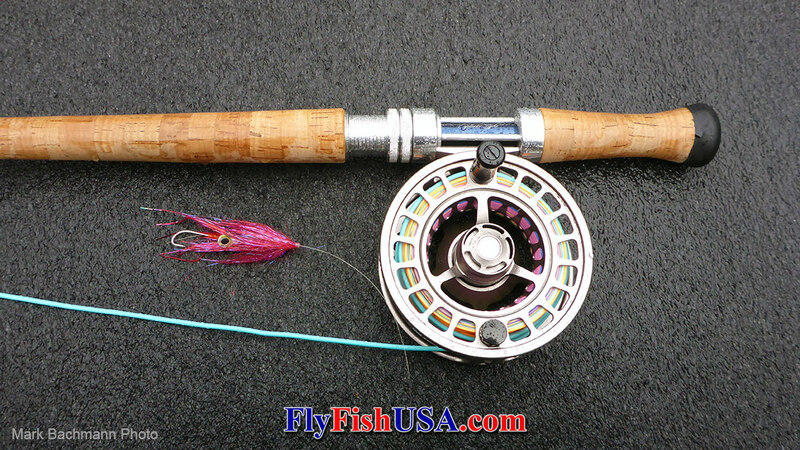 These Spey schools have evolved over the last twenty years to offer the most efficient method of learning to catch steelhead from larger rivers with flies. There will be at least one school per month: January through June. Although these schools are designed for beginning anglers, many students have returned several times to refresh, and measure their skills. There is little doubt that our Winter/Spring Steelhead Spey Schools can save an angler many years of frustration trying to learn by themselves, or even with less experienced instructors. The famous Deschutes Summer Steelhead PhD School continues in 2019. Scheduled for September 112-18, there are four openings this premier seven-day fly fishing school. Considered the best of its kind in the world.